There are two principal factors to consider to maximize the chances of implantation during an IVF treatment; a chromosomally normal embryo and a receptive endometrium. 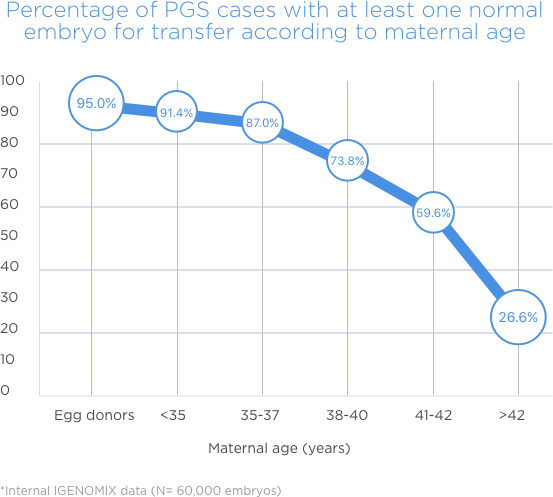 PGS testing analyzes the embryos obtained during an IVF cycle. ERA test will determine if the endometrium is receptive or not at the time of sampling, helping the clinician to schedule the embryo transfer at the right time. Combining IGENOMIX ERA and PGS allows to cover the two key factors to achieve your goal, a healthy baby at home.